Gertie's New Blog for Better Sewing: And the Winner Is . . .
. . . AMY! 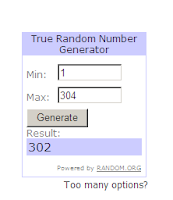 Amy, who entered last night, just in the nick of time, was chosen by random number generator. 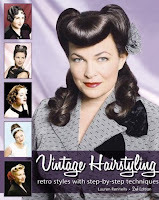 She will receive a copy of Lauren Rennell's awesome book Vintage Hairstyling. Amy, I hope you'll show us the fabulous new styles you try out! To the rest of you, I hope you will support this wonderful author by ordering a copy of the book directly from her here. Thanks again to Lauren for sponsoring such a fantastic giveaway! Oh!! Congrats to Amy! Lucky girl!! almost the last in enter to the contest and be the winner!!!!!!!!!! Oh I second the request for her to come back with some pics of her new 'dos! That would be great! I hope she does! Wow! I can't believe that I won! I'll start working on my hair-dos as soon as the book arrives on my doorstep. And of course I'll share some pictures :) Thanks so much, Gertie! Way to go Amy!! Congrats, the book looks awesome. I can't wait for the pics. Congrats to Amy! Can't wait to see pics of your new 'dos! !